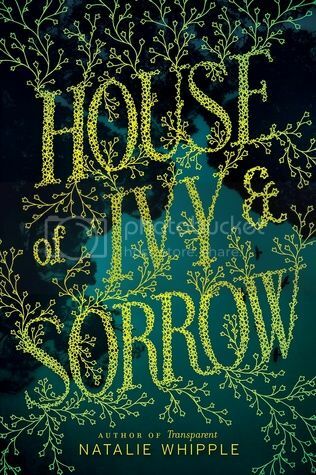 I was drawn to House of Ivy & Sorrow by its gorgeous cover. I couldn’t wait to dive into the story because the synopsis sounded really fantastic. Here are my thoughts on this book. After hiding out for the past 10 years from the curse that killed her mother, Josephine’s luck seems to have run out. With her mom’s killer lose in her small Iowa town, it’s up to Jo and her group of friends to save and protect her Hemlock bloodline at all costs. The characters in this story were very interesting. Josephine seemed like a very determined young lady. Her best friend, Kat, was SO cool. I love really awesome best friend characters. Jo’s grandmother, ‘Nana’ Dorothea was a very funny and wise lady. I loved that she had an addiction to chocolate pudding! The kids that she went to school with seemed like a great group of friends as well. There are two boys in the story, Winn and Levi, but I hesitate to say that it’s a love triangle. While there is a bit of romance in the story, it’s definitely not enough to overpower the storyline. What little bit we do see is sweet and pretty chaste. I went into this book expecting a really dark story, and that’s not what I got at all. Although there are some parts of the story that are dark and some even kind of gross, but otherwise the story is pretty light. Not saying that that is a bad thing at all, it just wasn’t what I expected. The story was a very quick, fun read for me. I think a lot of teenage girls will really like this book. Overall; this was a very fun book to read! It’s been a while since I read a book about witches, and I really enjoy witch stories. Check this out if you’re looking for a quick, fun read. Sounds like a cute book! I'll have to check it out. Great review! I love the cover of this one as well! I'm excited to read it, but I did think it would be a dark story and am a little sad to hear it's not. Not that it will stop me from picking it up :) Thanks for the review! This sounds nothing like what I was expecting but not in a bad way. I'll have to check it out. Great review! Truly a gorgeous cover. That's what drew me in, too. I haven't read it yet but it's definitely waiting on my kindle for me.